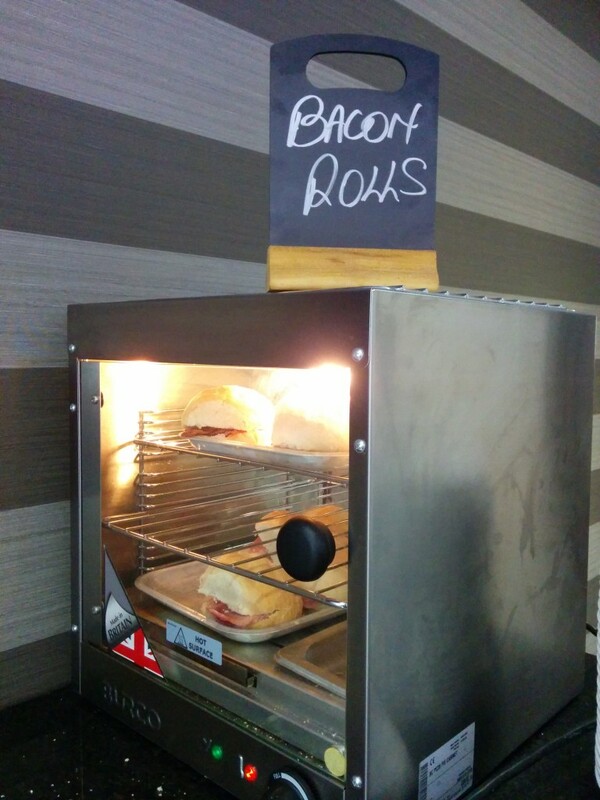 This is my review of the new Aspire lounge at Edinburgh Airport. 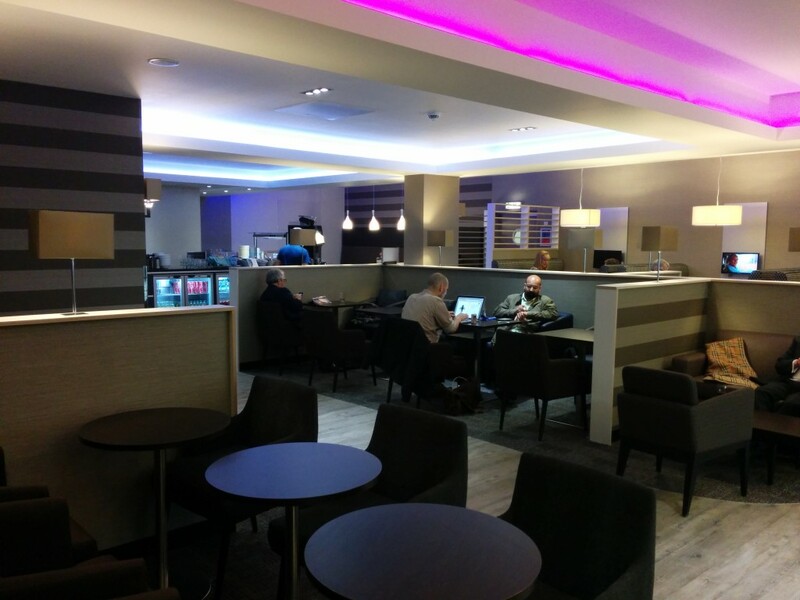 I featured the new No 1 Traveller lounge at Edinburgh International Airport a couple of months ago. 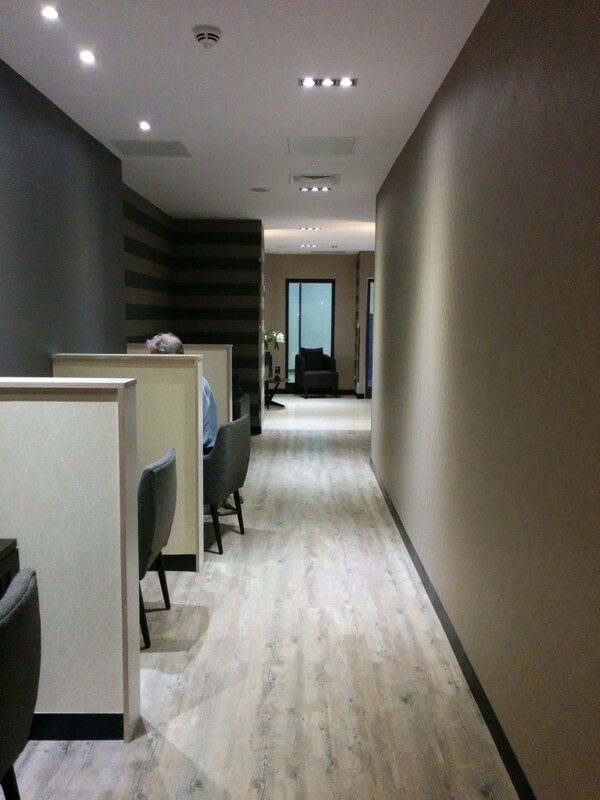 I also wrote about the new British Airways Galleries lounge. 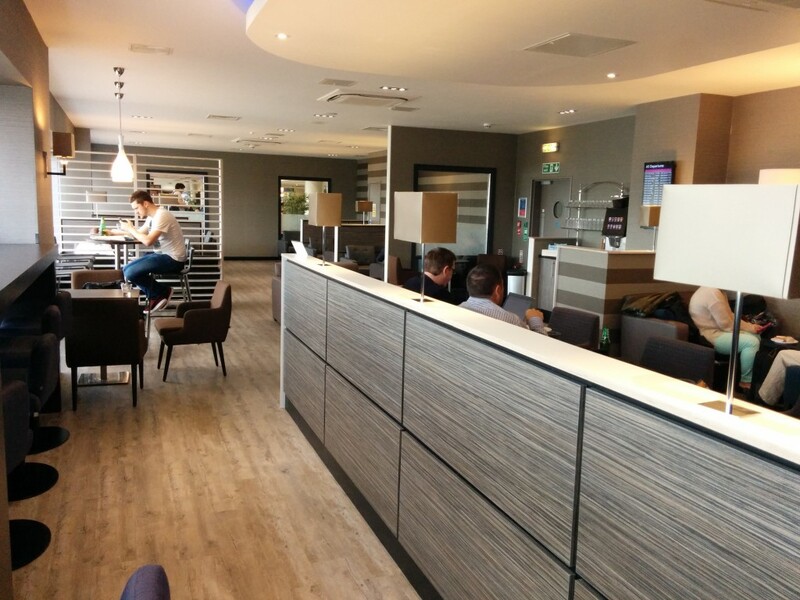 At the same time, Servisair was busy rebuilding its existing Edinburgh lounge via a conversion to its new ‘Aspire’ concept. Reader Alan was there a couple of weeks ago and took a few photographs for us. It looks impressive and a substantial step forward from the old Servisair offering. Ironically, if you have a Priority Pass card, Servisair actually pays you money to visit! If you get a free LoungeMiles loyalty card, you earn one stamp for every visit to Servisair / Aspire lounge. Earn five stamps and you can swap it for a £5 shopping voucher. 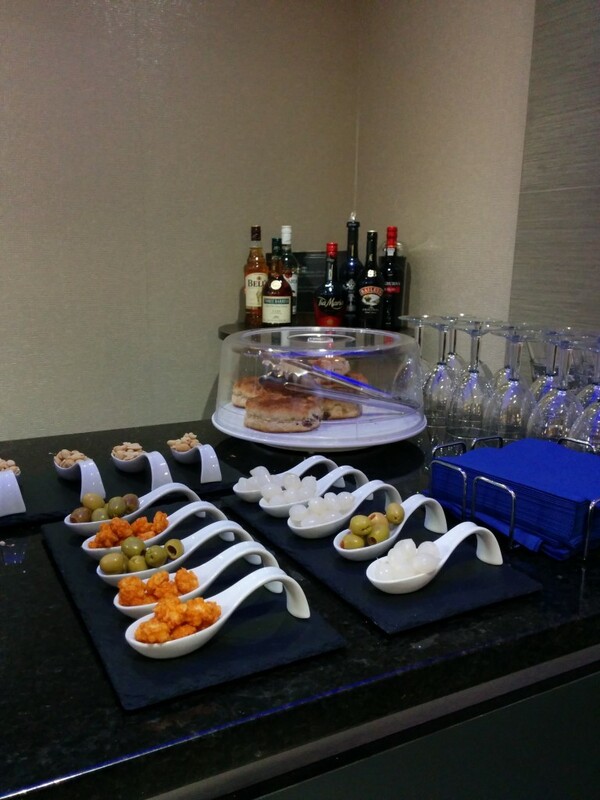 You can get free access to the Aspire lounge – and indeed the No 1 Traveller lounge at Edinburgh – with a Lounge Club or Priority Pass card. You can also buy access via the Aspire site. Lounge Club membership comes with the American Express Preferred Rewards Gold card, which is free for the first year. You receive two free passes to visit any Lounge Club lounge and further visits or further guests are charged at £15. Priority Pass membership comes with the American Express Platinum card. Both the main cardholder and one supplementary cardholder receive a Priority Pass, and each card admits two people for free. This means that you can get four people into a lounge for free if both the main and supplementary cardholder are travelling together. If you don’t have any of these cards, your best option is to book in advance and guarantee admission via the Aspire website here. 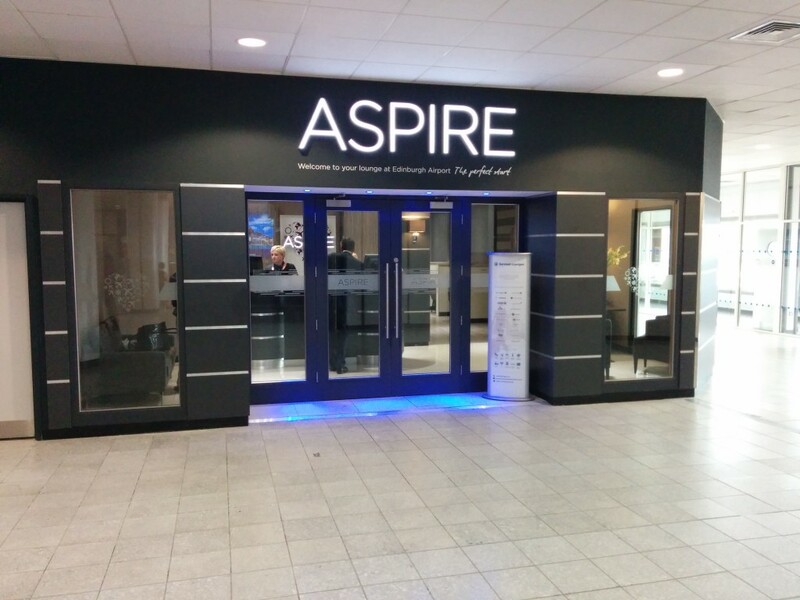 It’s also worth noting that FlyBe now use the Aspire lounge – and it is a huge improvement from the old FlyBe lounge. So, any preference between the two? The No 1 review mentioned that there is hot food and all but Champers and Premium spirits are included, what about at the Aspire? I guess Alan has been to both, any opinions as to which is better and why? Hehe yep, been to both a few times. 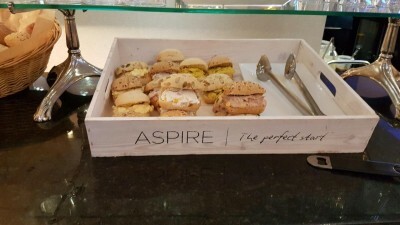 If I’m wanting some food I go with No 1 (quite like their cumberland pie), but otherwise I’ve tended to go with Aspire – I found they had a bigger selection of nibbles and I get my Servisair loyalty stamp. It’s also very close to the BA lounge if I want to lounge hop! Thanks, really helpful! Will decide what’s more important (hot meal or snacks). What about drinks? Do Aspire charge? When in Edinburgh its always nice to be able to try a few single malts :), from the No 1 review it seems they would be chargeable, what about Aspire? Aspire don’t charge at all, it’s help yourself. For No 1 they have some free (not sure how many you’re allowed) and some paid for – I took a photo of their menu, see the link to the No 1 Traveller review at the top of the page. Agree with ChrisH they’re not the most inspiring selection! I can vouch that No.1 will serve you from the bar malt whiskey for free, I think it was Glenfiddich. Went to Aspire Luton recently and limited selection of generally low quality alcoholic drinks, but indulged in a few Chang beers which were decent enough. All free mind you. Reporting live from the Serviceair / Aspire lounge. Alcohol – no longer self service. Wines, Beers and Spirits all free. Whiskies on offer are Bells, Famous Grouse and Glenfiddich. Champagne at extra costs. Snacks – large selection, including peanuts, spicy crackers, olives, pickled onions, crisps, biscuits, yoghurts, cheese and crackers. Soft drinks – the usual selection, juices, coke, lemonade tonic, coffees, teas (normal, herbal and fruity). Haha enjoy – thanks for updating, I normally just grabbed a juice when I was there so hadn’t paid too much attention to the drinks offerings. 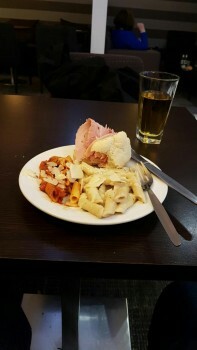 The Aspire Lounge is the only acceptable bit of Luton Airport!